According to the U.S. Department of Labor Bureau of Labor Statistics, 6.1 million Americans are unemployed. Job loss and unemployment is a serious concern for many, especially when you don't have savings built up to help you if you lose your job. Unemployment benefits are meant to provide financial assistance to people who find themselves unemployed under certain eligible circumstances. However, these benefits do not fully replace the lost income from losing your job. It can be hard to make ends meet on the money you get from unemployment insurance. However, there are other options available to protect your finances and lifestyle if you lose your job. Private Unemployment Insurance and other supplemental insurance policies are good options to protect your finances when you lose your job, and some of them come at the cost of as little as $5 a month. Private unemployment insurance, also known as supplemental unemployment insurance, is an insurance policy you buy for yourself to supplement your income if you are unemployed. Private unemployment insurance will give you additional payments on top of the base unemployment that you get from Federal and State Unemployment. Because unemployment insurance is limited, sustaining your lifestyle if you are suddenly jobless is almost impossible on unemployment alone, so private unemployment insurance gives you the option to supplement your unemployment benefits income and helps fill the gap. 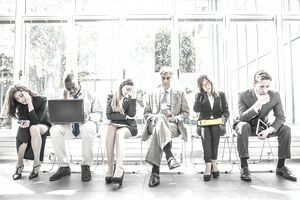 The amount of Federal/State Unemployment insurance varies by state, so depending on which state you live in, and what your original income was before you lost your job, options for Private Unemployment Insurance may be more or less worthwhile. It depends on what your personal financial needs are. Caps on the State and Federal Unemployment Insurance benefits may not allow you to maintain your lifestyle. There are not many options for private unemployment insurance, but a couple of companies have come up with some interesting policies. Here are a couple of examples, with a description of what they can offer. IncomeAssure by Great American Insurance Group would be a traditional type of unemployment insurance concept. It can offer you supplemental cash benefits if you lose your job due or get laid off and are eligible for Unemployment Insurance. IncomeAssure is available in the U.S. States and the District of Columbia except for Hawaii and Alaska. It covers salaries up to $250,000 a year. You must file for unemployment insurance and be eligible before this policy pays out. Income Assure pays out 24 weeks of benefits with a 2 week waiting period. There is a 6 month waiting period after buying a new policy before you are eligible for benefits. So don't count on buying your policy tomorrow because you heard job cuts are happening in the next few weeks. Payments follow the Federal and State Unemployment Insurance schedule, which is why we're referring to it as a traditional type of unemployment insurance concept. SafetyNet is an innovative policy that takes a different approach to provide a benefit to their policyholders in the event of unemployment. SafetyNet allows the policyholder to choose between several levels of coverage. It does not pay out on a weekly basis, but rather offers a lump sum payment if you find yourself without a job. The cost of SafetyNet is significantly less than a more traditional Private Unemployment Insurance because the payment is less, but on the plus side, it makes for a good back up for an emergency and will pay anywhere between $1,500 to $9,000, depending on your SafetyNet policy option choice when you sign up. Depending on the state you live in and the local unemployment rate the IncomeAssure policy would cost you between .5 percent to 2 percent of your income. You can get the exact price and amount of weekly benefit here. They will also pay up to 50 percent of your former weekly salary. Business closing or other employer-initiated separation. The Report on the Economic Well-Being of U.S. Households by the Federal Reserve from 2016 (released in May 2017) focuses on the financial status of American families. In this report, 44 percent of respondents cited that they would not be able to pay a $400 emergency expense or would have to borrow or sell something to do so. Data like this makes innovative policies like the one recently launched by SafetyNet as interesting as a "back up" supplemental unemployment or disability insurance plan. SafetyNet is currently only offered only in a few states, like Iowa, South Carolina, and Wisconsin, with plans to expand. Although it is not built in the same way as unemployment insurance is, it's a fair option to create a "safety net" for yourself and your family, especially if the cost of the IncomeAssure insurance or other private unemployment insurance options seem expensive.